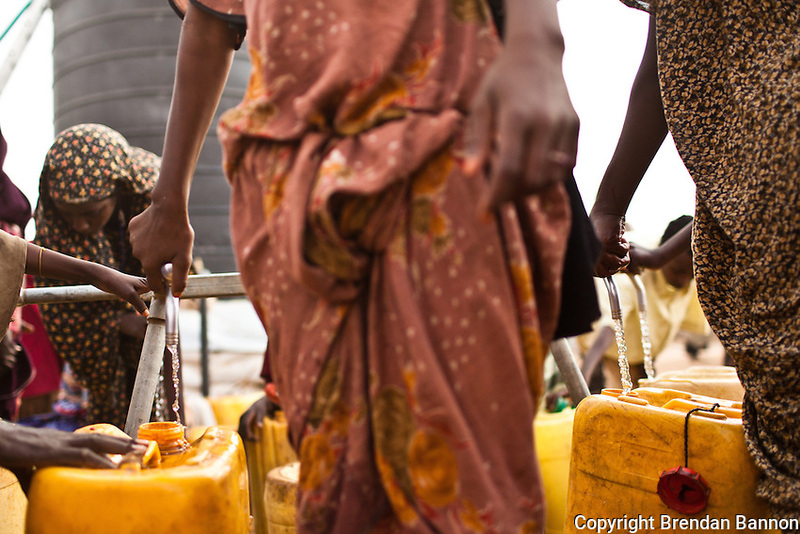 Young girls and women wait to collect water from a water point in Ifo extention. UNHCR began moving families form the self-settled areas at the outskirts of the camp to Ifo extention in July, 2011. In Ifo extention it will be easier for water, sanitation and security services to be delivered. UNHCR is settling aproximately 300 families per day in Ifo extention as of the end of July.